Wow! It's almost two months late but, I wish you a happy and fulfilling 2011! So sorry I have not been able to upload any work this year. The first few days were deceptively slow, but suddenly I found myself engulfed in a vortex of activities. Though the torrent has not eased up, I'm determined not to slack on my blog any longer. Works of Faith is a new blog I just created specially for my faith-related graphic designs and illustrations. I plan to upload several of my earlier works over time. The image below is part of a banner design I recently made for a group of church locations in Port Harcourt. So, check it out. My sister just got married and it was a real buzz. Congrats Oye and Tunde! 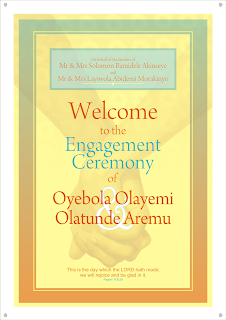 Wish you both the very best marital bliss. I made a banner design for the venue of the engagement ceremony. It was a bit of a rush, but it did the trick. I am currently working with the NDI and the NETCIV to develop campaign sticker and poster designs with messages aimed at encouraging Nigerians to go out and vote in April. Hopefully, I will upload the works when I'm done. So, spread the word... VOTE! In The Comics Hut, I am busy working with my team to repackage the single Cowrie Comics and Living Scrolls titles into 3-in-1 volumes. This is really a Herculian task but it creates an opportunity to rework the graphics in several titles. Hurray! 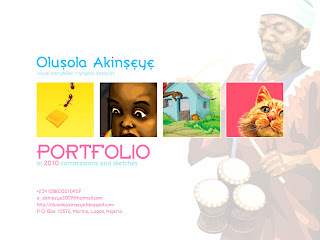 My portfolio for works done in 2010 is finally available for download or perusal on-line. 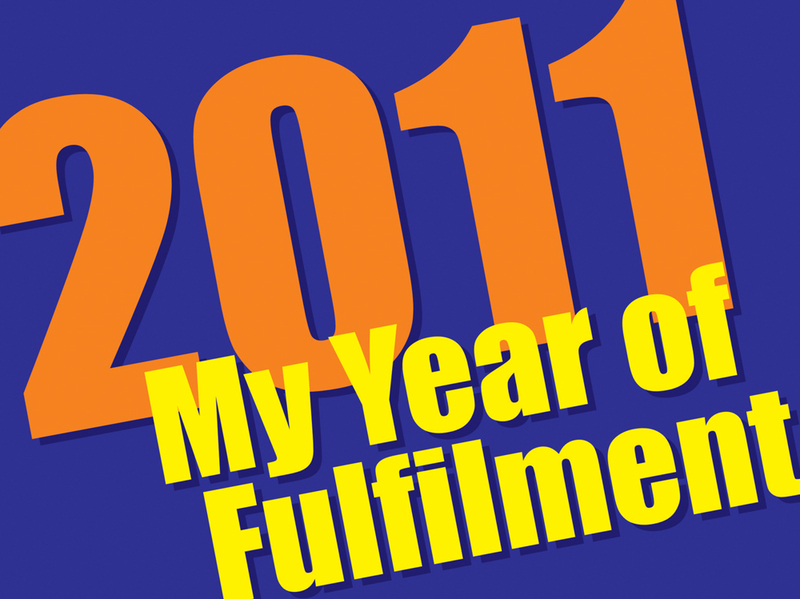 Though not exhaustive, the included artworks aptly capture my 2010 activities in my illustration and design studio. I am also laying the foundation of some personal projects I have been thinking about over the years. More of that later. Cheers!